The most difficult part of any workout is finding and staying in your “zone”—that liberating frame of mind where you aren’t focusing on discomfort, reps, or personal goals and just go. Put another way, you’re able to forget that you are exercising. CycleBar, the latest unique boutique fitness studio to open on Magazine Street this July, hopes to give its patrons this out-of-gym experience by immersing them in an indoor athletic atmosphere not seen before in the Crescent City. Indeed, CycleBar is a case of style accentuating, rather than overshadowing, substance. 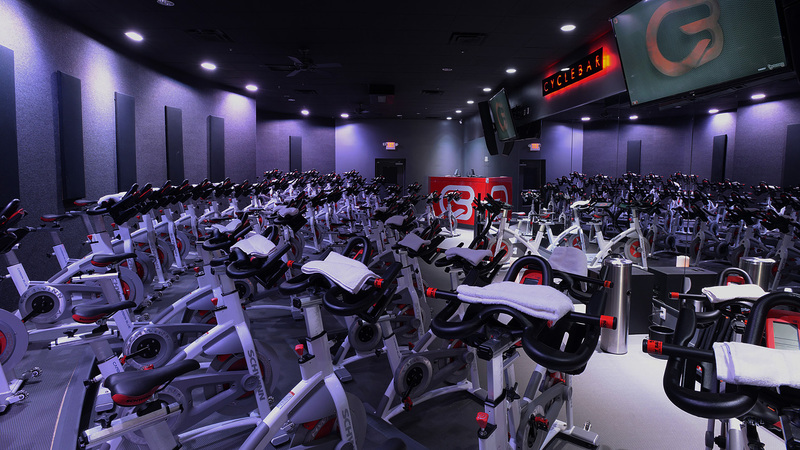 At its core, CycleBar offers a traditional indoor spin class: attendees on stationary bikes pedal along with an instructor as he leads them through varying levels of intensity. Except, at CycleBar, the bikes are in the middle of a club. 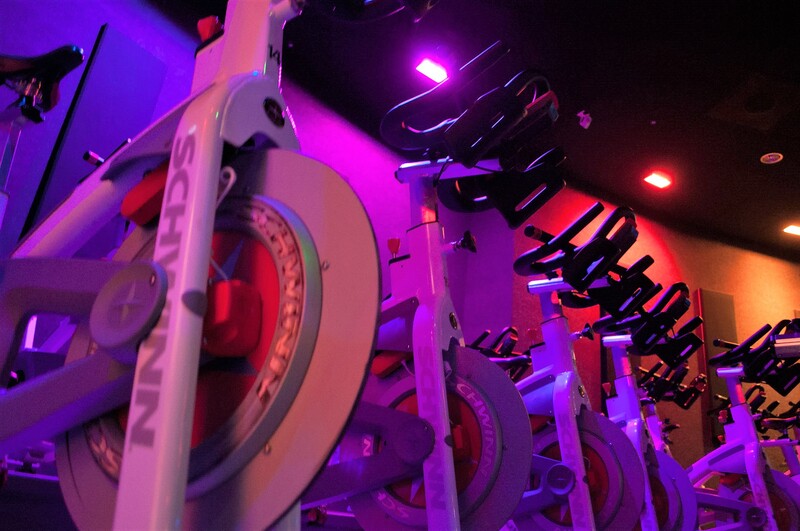 No lie – the bikes are positioned in the middle of a floor furnished with a DJ booth, stage lighting, and even large plasma screens intermittently showcasing music videos throughout a workout. Aguilera is a master of multitasking. His bike sits on a platform in the front of the gymnasium, called the CycleTheater, centered between two large plasma screen displays. The setup is more fitting for a musician than a fitness instructor, which is semi-apropos. Over the course of a 50-minute session, Aguilera is equal parts instructor, DJ, VJ, and lighting technician, orchestrating his show from dual touch screens mounted to the right of his bike all while performing the workout along with his class. CycleBar offers a variety of classes to motivate riders of all personalities. The Performance class pits riders against each other, showcasing each participant’s rank on the large flat screens in the front of the CycleTheater. Connect classes incorporate elements of yoga into the session; personal stats are turned off, and lighting and music are tuned for meditation, setting a serene mood. Themed DJ rides, including Mashup Mondays, Throwback Thursdays, and Concert rides, offer music-centered spins. Finally, the Classic ride includes elements of all the specialty rides. Though not a regular cyclist, I occasionally incorporate it into my workout rotation for a few months if I enroll in a seasonal triathlon. 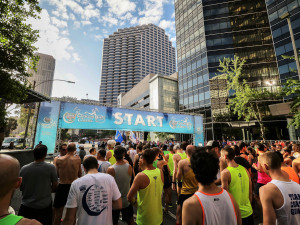 Typically, I train on an elliptical, as New Orleans’ narrow, pothole-ridden, construction-crippled streets are not the easiest to ride on (much less travel on in any other conceivable way). Cara Raymond, CycleStar Instructor, suggested the Performance class would best suit my cycling goals. However, to get the full experience, I decided to try the Classic course my first time. As I walked into my inaugural class, what first struck me was the crowd exiting the CycleTheater from the previous session. 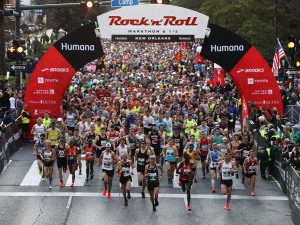 Everyone was soaked from head to toe with sweat, looking as if they had all just had front row seats at a Sea World show while a whale did a belly flop. I asked a handful of these recently initiated what they thought of the class, and the one recurring description was “intense,” a statement I would soon cosign. What was most fulfilling about the class was the focus on total body fitness. Hill climbs, sprints, stretches, shoulder lifts with weighted bars and pushups were all performed during the spin. Instructors worked with each rider in the class to make sure their bike fit them before the class began, preventing discomfort. Aguilera’s playlist largely consisted of EDM and hip-hop, my go-to workout genres, delivering the perfect cadence during hill climbs. However, it was when the class rankings were showcased that my competitive spirit kicked in and I really gave it my all. My heart rate climbed from around 145 to close to 190 as I contended for the top spot. Shortly after my workout, I received an email with my workout stats, listing my average heart rate, calories burned, revolutions per minute, and class rank. Also included was a Spotify link to my specific sessions playlist, a nice added touch. I highly recommend CycleBar to anyone interested in taking spin classes. The staff clearly values entertainment just as much as intensity in their workouts, and they deliver both. Another bonus is that you pay by the class, not the month. This is convenient for those traveling over the summer, or those like me who cycle seasonally for sport. 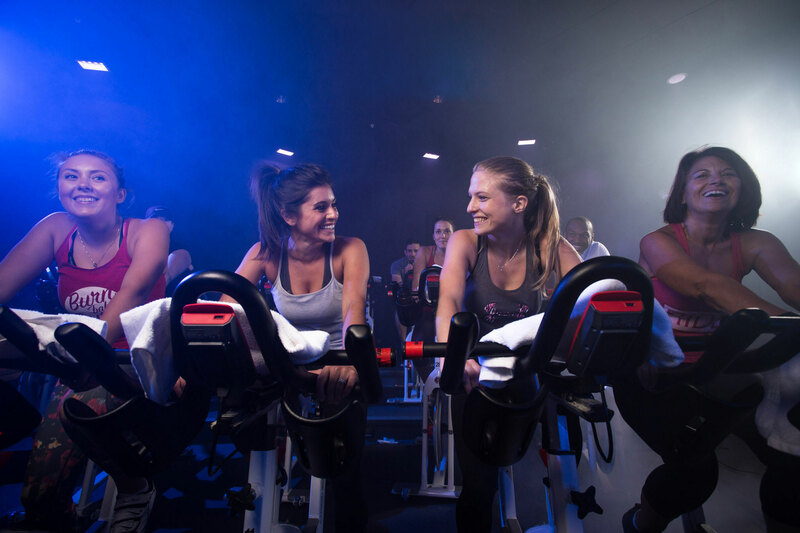 On July 23, CycleBar is hosting Ride Your Heart Out, a series of pop-up rides throughout New Orleans held in conjunction with the American Heart Association and the American Stroke Association. Locations will be announced on CycleBar’s website as the date gets closer. During August, CycleBar will host the Cyclympics, coinciding with the 21 days of the Olympic games. Riders will compete for a gold, silver, or bronze recognition, as well as the chance to win free CycleBar branded gear. CycleBar is located at 3823 Magazine St., New Orleans 70115. For more information, visit http://nolauptown.CycleBar.com.